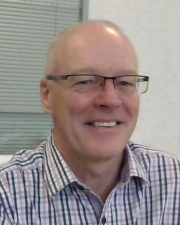 Derek is a senior management professional with extensive background of in-house and outsourced TFM, Property & Project management, QHSE standards & accreditations and Data Centre Solutions. Having held operational FM roles in a variety of sectors leading and inspiring operational teams to deliver results with unprecedented attention to detail, he strives for continuous improvement and service excellence. Derek has had significant exposure to complex programmes, delivering and operating corporate office, critical contact/data centres and retail built environments. 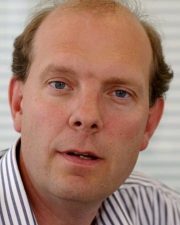 He has expertise in other commercial areas such as insurance, purchasing, fleet, logistics. Derek has proven financial acumen with P & L balance sheet accountability, with an acute understanding of costs and controls impact to maximise ROI/margins. 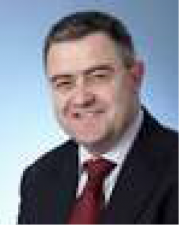 John has over 30 years’ experience as a finance professional, with over 20 years at Director level. He accumulated a broad range of budgetary and strategic planning skills within large multinationals such as BP and Cable & Wireless and has subsequently operated at board level within the house-building and property development sectors. He was part of a successful MBO team in the 90’s and joined the Portal team in 2003. He has implemented strong financial controls throughout his career and manages a team overseeing the strategic finances of the business and controlling the project costings required to allow the Portal model to run smoothly. Ian is an IT Professional with over twenty-five years’ experience of directing business through major transformation and integration programs. His experience includes infrastructure management and development, telecommunications, application development and data centre operations. Ian is Prince2 and MSP qualified and an active member of the PMI, and he has successfully delivered several Call Centre property and Technology solutions for Portal. Prior to joining Portal, Ian worked for the international courier company FedEx. Based from the Netherlands as EMEA Business Unit IT Manager he worked for three years in a diverse multi-cultural environment providing transitional IT consultancy, and completed several complex European and multi-site projects. He then moved on into Glasgow heading up and completing the relocation and implementation of a multi-lingual Call Centre SAP CRM project along with a large European Telecommunications requirement. 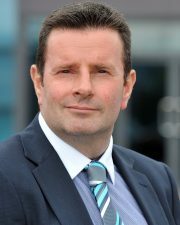 Phil has extensive experience across a broad range of hard/soft FM and property related services. With a strong operational background and client relationship management experience, Phil also has a wealth of Health and Safety experience and is NEBOSH certified. Phil joined Portal in May 2011 and prior to that was the Operations Director for FM outsourcer Anabas where he had responsibility for over 700 employees and for the provision of full FM services across a national portfolio of clients in the retail, leisure and corporate sectors. Before that, Phil was the Regional Director and Strategic Development Director for Glendale and also worked for both Williams Lea and Initial on the facilities side. At Portal, Phil has overall responsibility for all of the Portal sites, ensuring that agreed SLAs are met as management of project delivery for all new Portal sites. 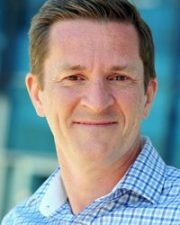 John co-founded Portal to provide a unique solution to infrastructure capacity problems. Frustrated with the inherent shortcomings of existing in-house and outsourced models, John has been instrumental in launching Portal's Managed Office Solutions business model in the UK. From his international experience with Sitel, he has led Portal to its No.1 position in this market. The Company has experienced continual growth and now operates over 280,000 sq ft of Managed Offices around the UK. Portal are increasingly acknowledged by leading corporations as a provider of cost effective workspace solutions for businesses seeking to align their property strategy with the dynamic needs of their business.